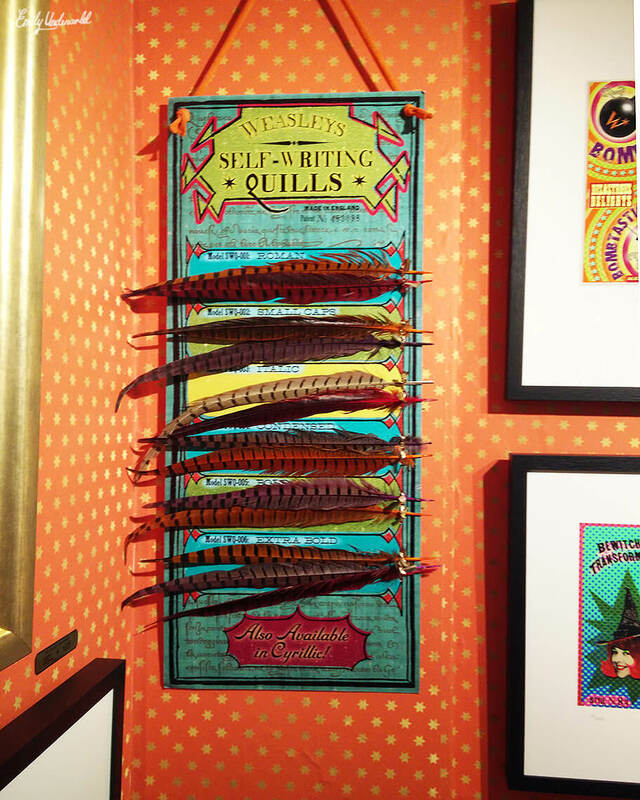 The Harry Potter House of Minalima, Soho! 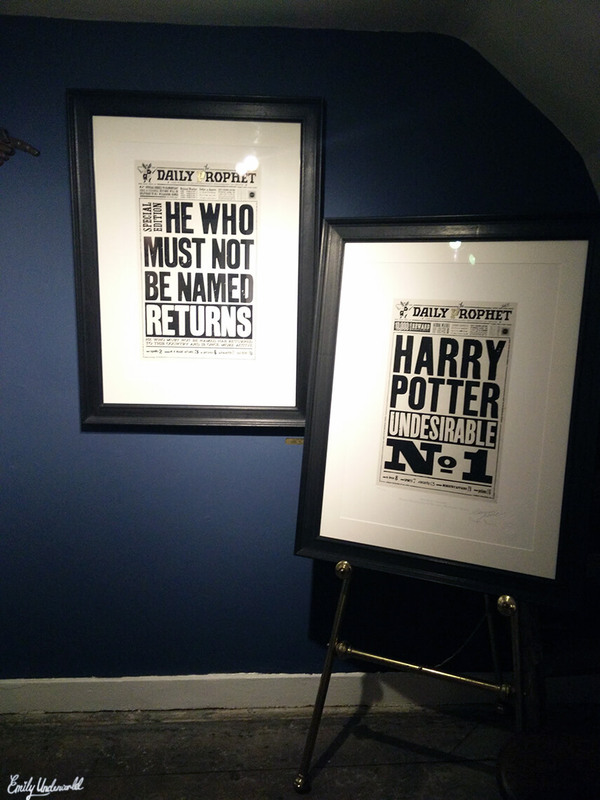 A few weeks ago I finally checked out the Harry Potter House of Minalima exhibition in Soho. 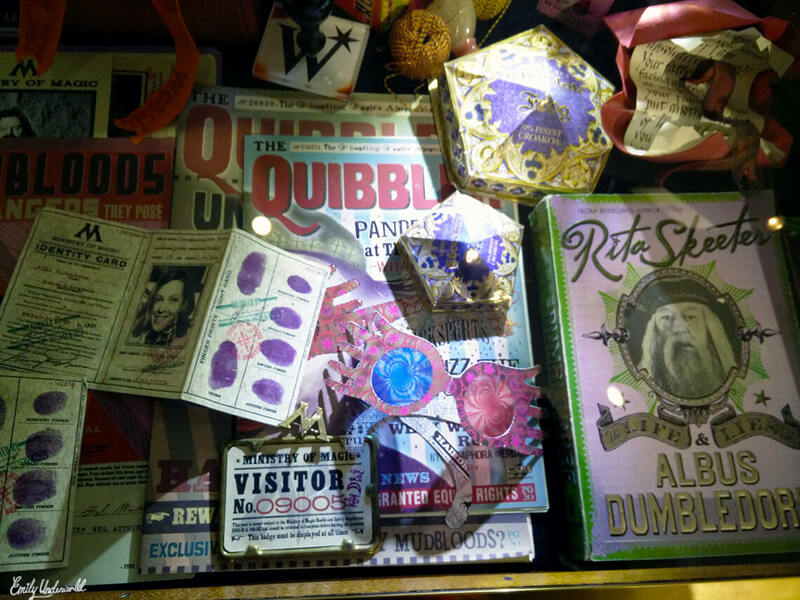 It was a spur-of-the-moment thing with a Canadian friend who loves Harry Potter, so I was totally unprepared and didn’t have my camera on me. 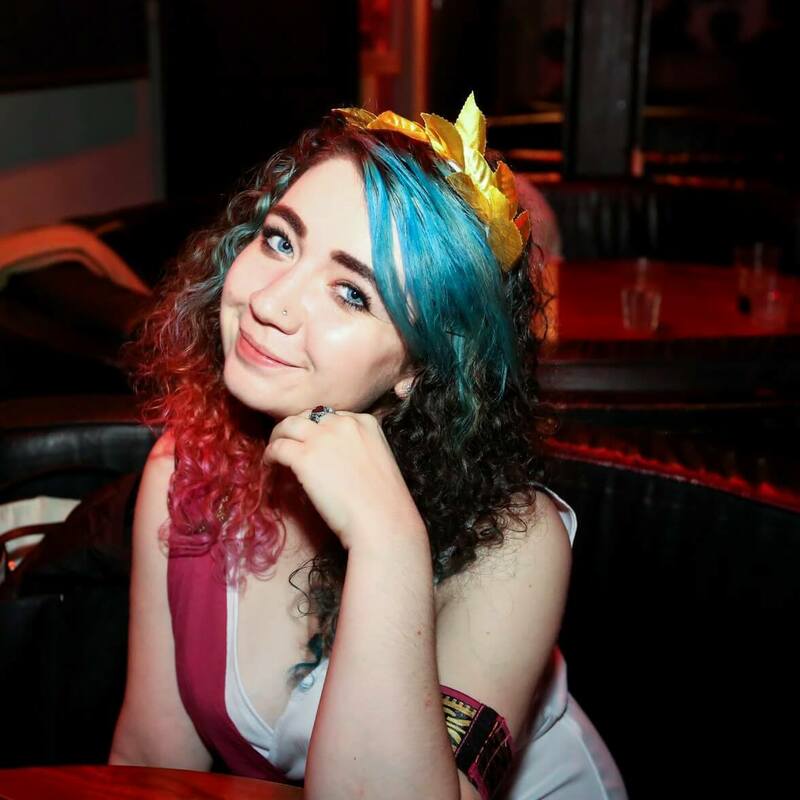 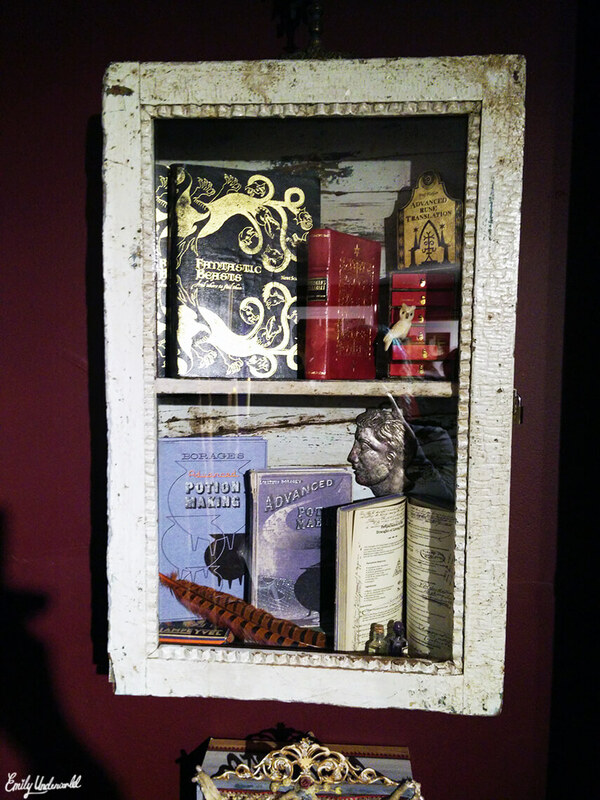 I managed to take some okay-ish pictures on my phone though (before it broke), so I figured I’d share them on the blog. 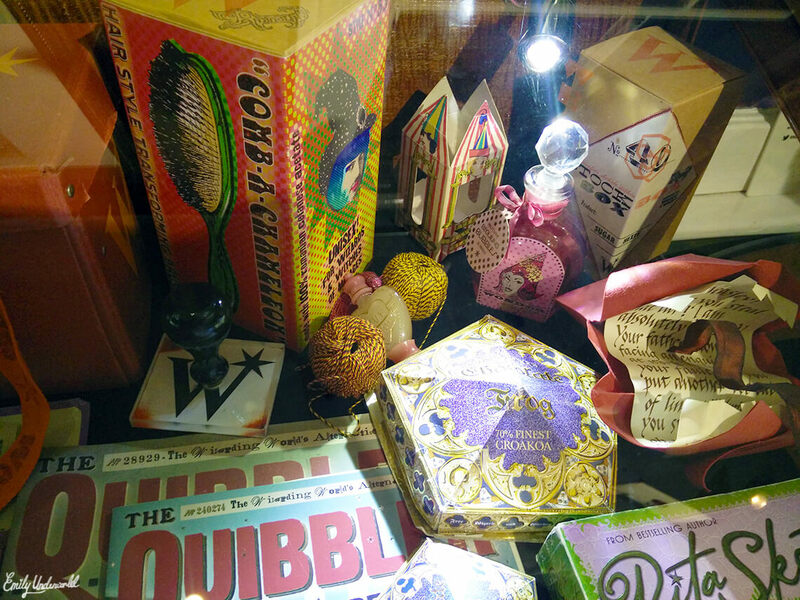 The House of Minalima is on Greek Street, Soho, near the theatre showing Harry Potter and the Cursed Child. 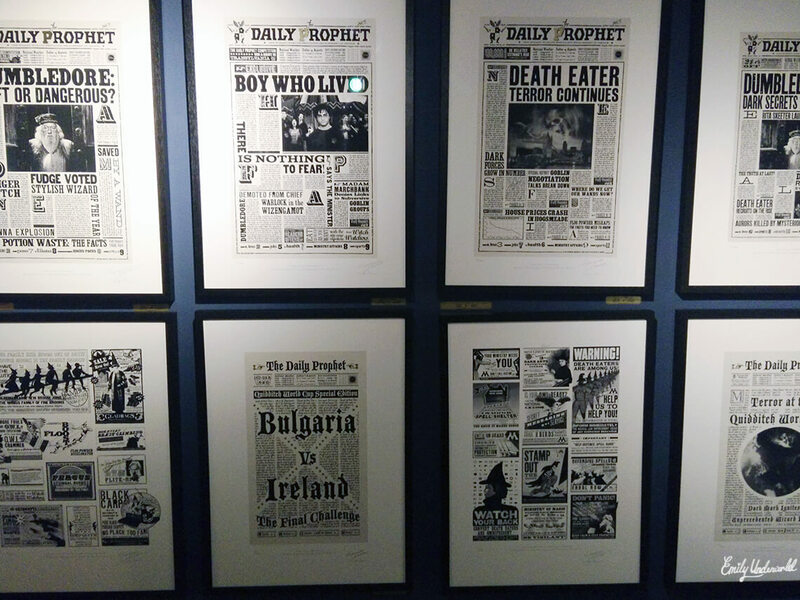 It’s free to have a look around the exhibition, and has a shop too, selling prints and other Potter-y things. 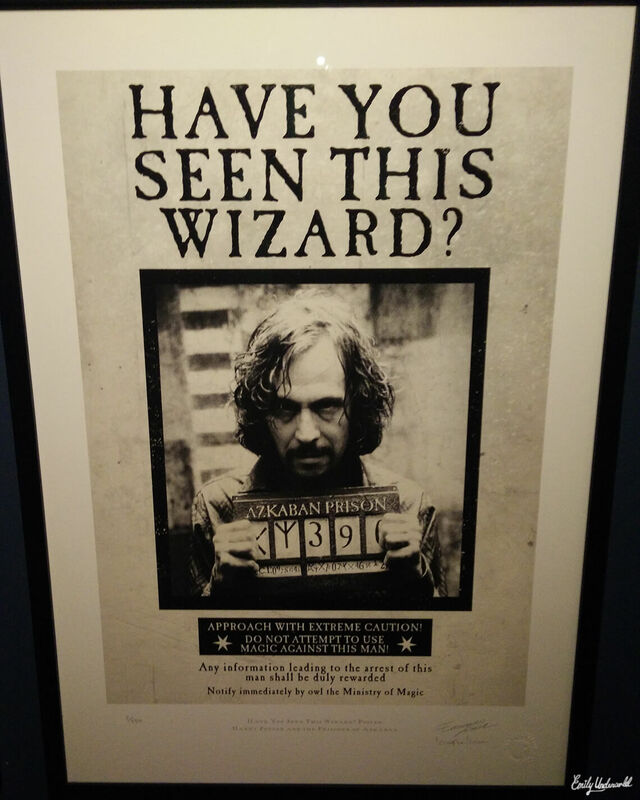 Since I visited, they’ve apparently added some Fantastic Beasts and Where To Find Them graphic art, so I’ll have to head back and check it out again. 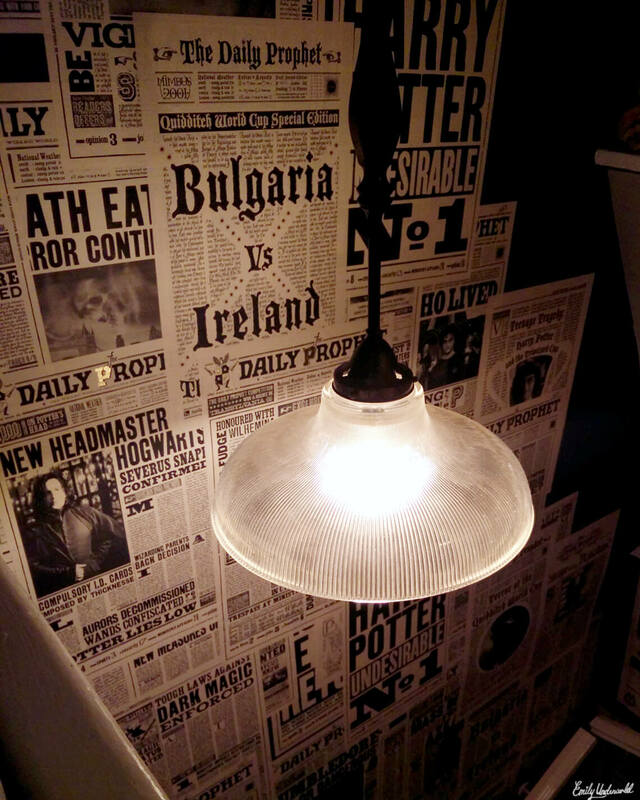 Speaking of Fantastic Beasts, have you seen the film yet? 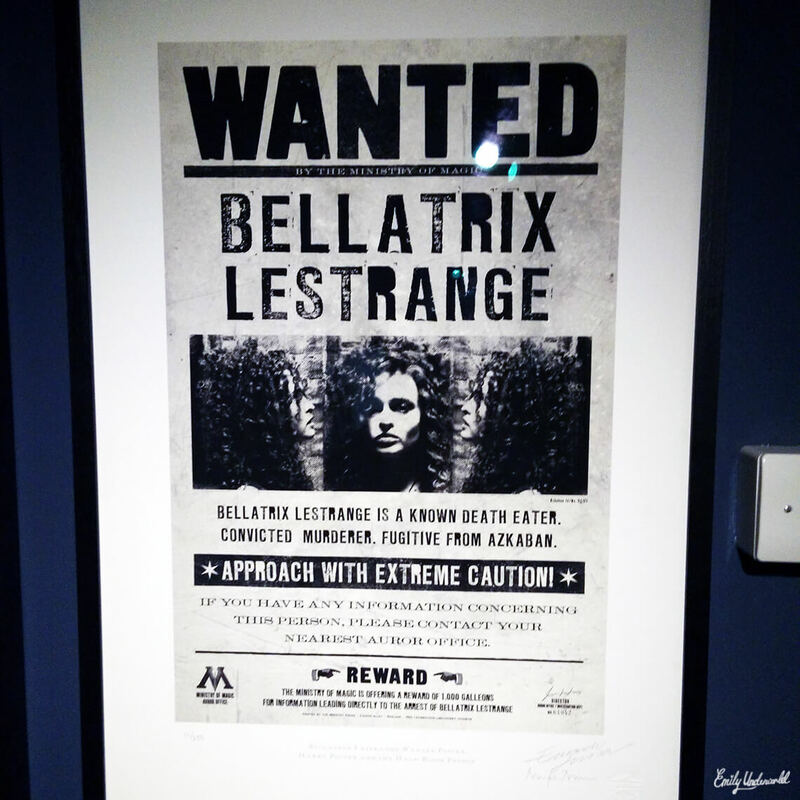 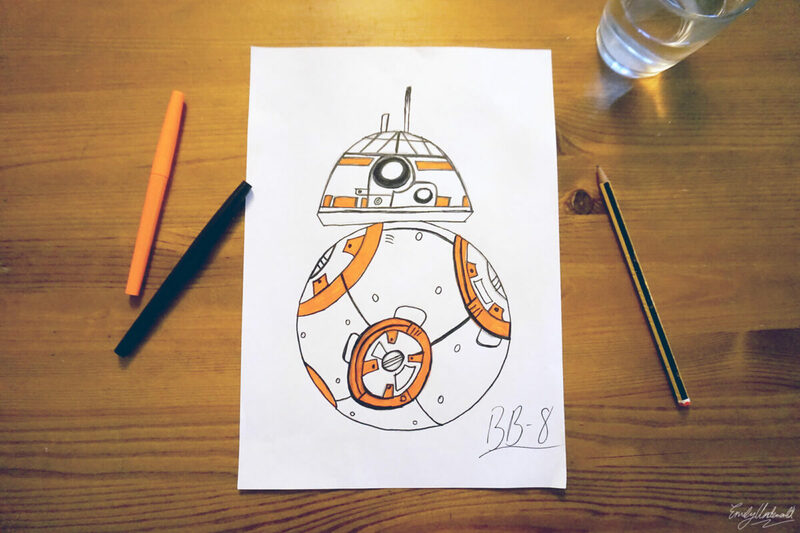 I went to see it last weekend, and loved it! 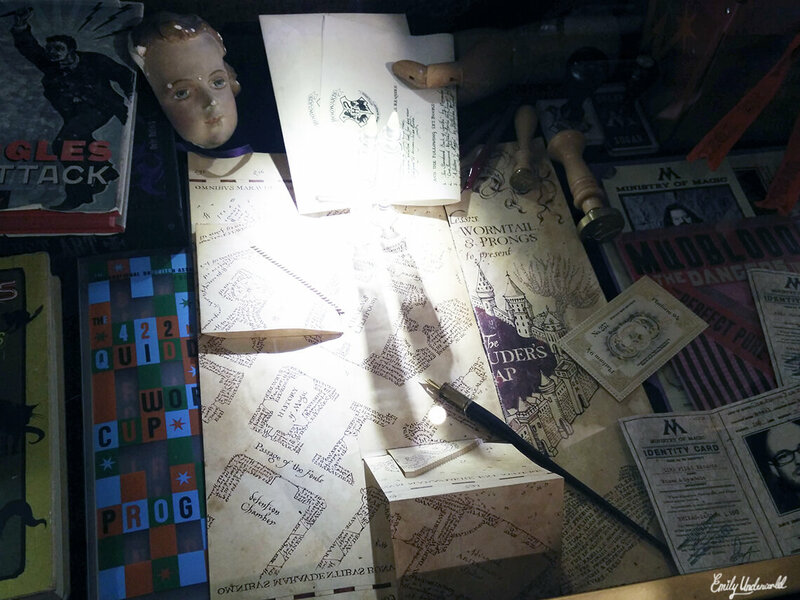 Eddie Redmayne is perfection. 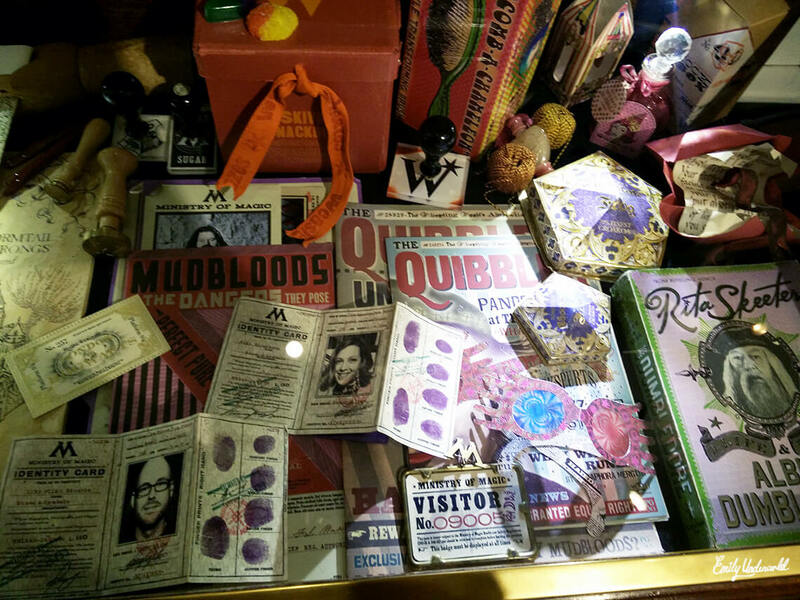 Many original props from the Harry Potter movies were on display, including the famous Marauder’s Map! 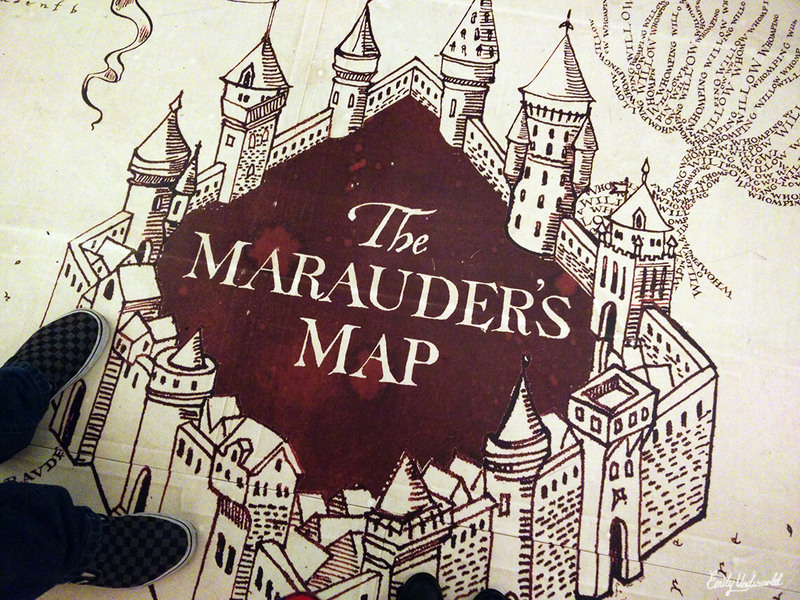 They even had a giant Marauder’s Map printed on the floor! 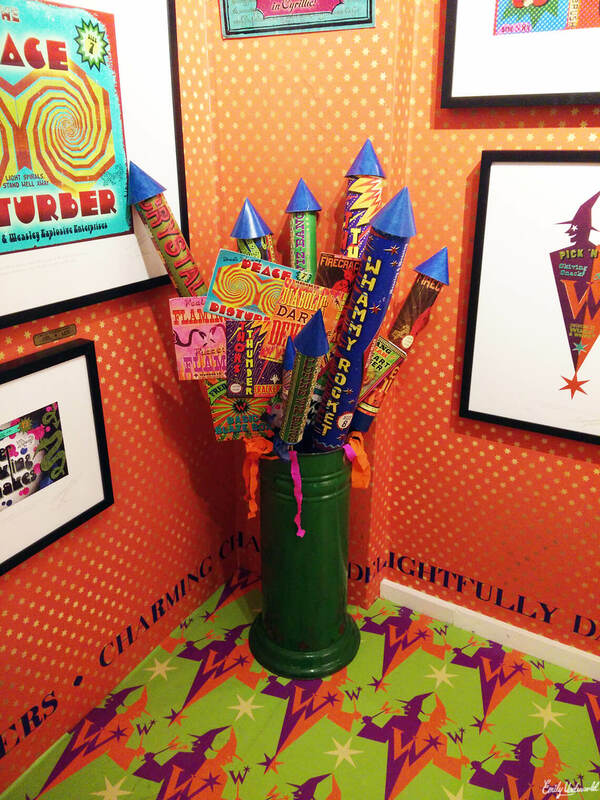 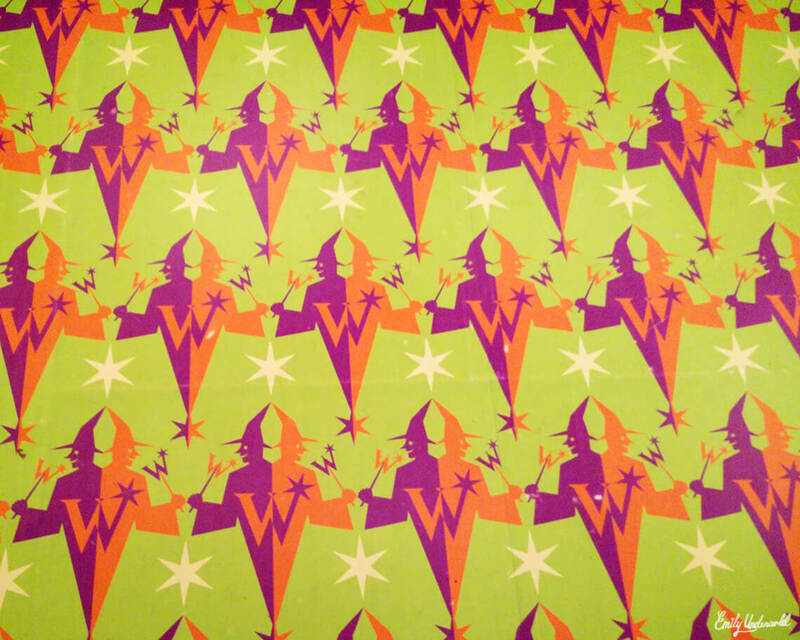 I loved the brightly-coloured corner dedicated to the Weasley Wizard Wheezes! 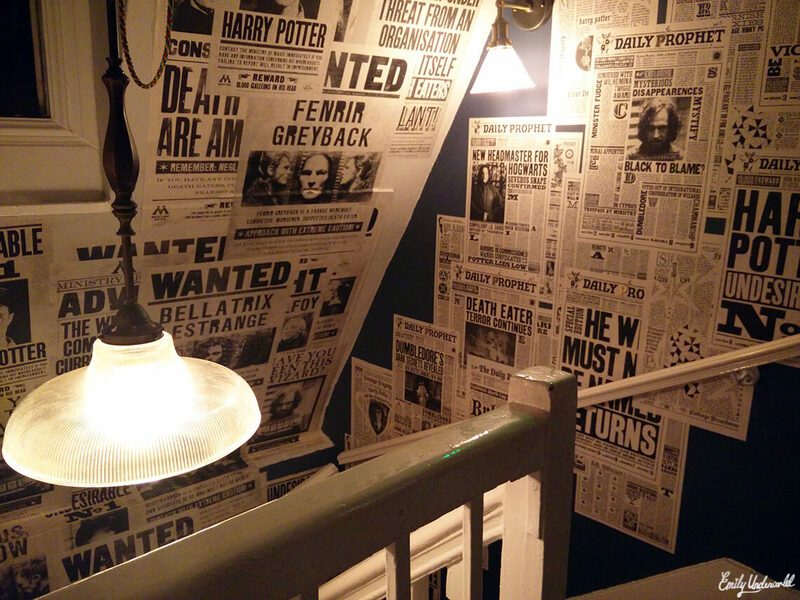 Upstairs they had lots of Daily Prophet articles and Wanted posters, the walls by the staircase were covered in them! 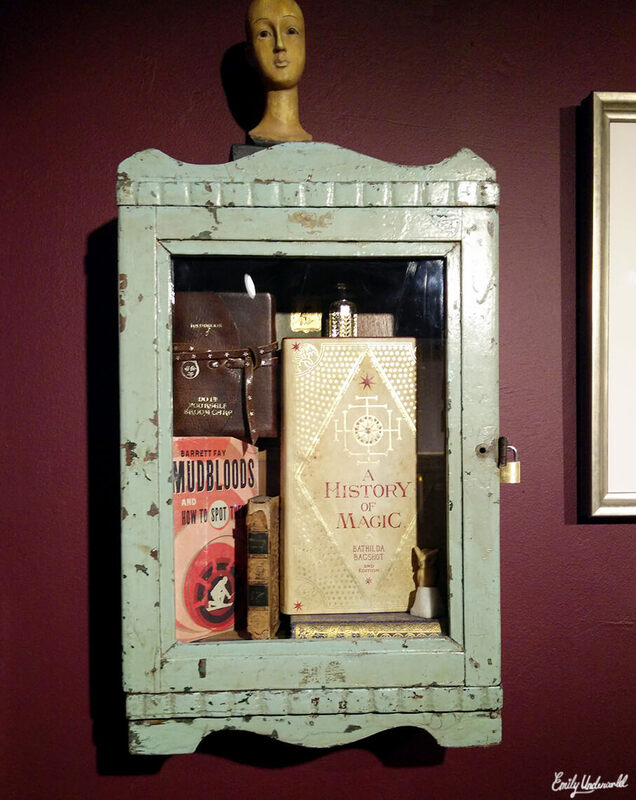 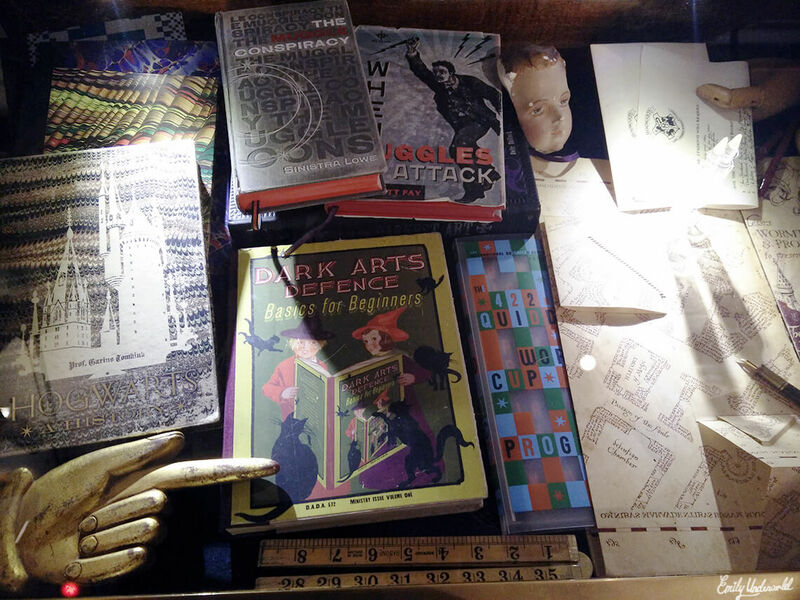 I loved the extra attention to detail, everywhere you look in the House of Minalima is filled with something magical. 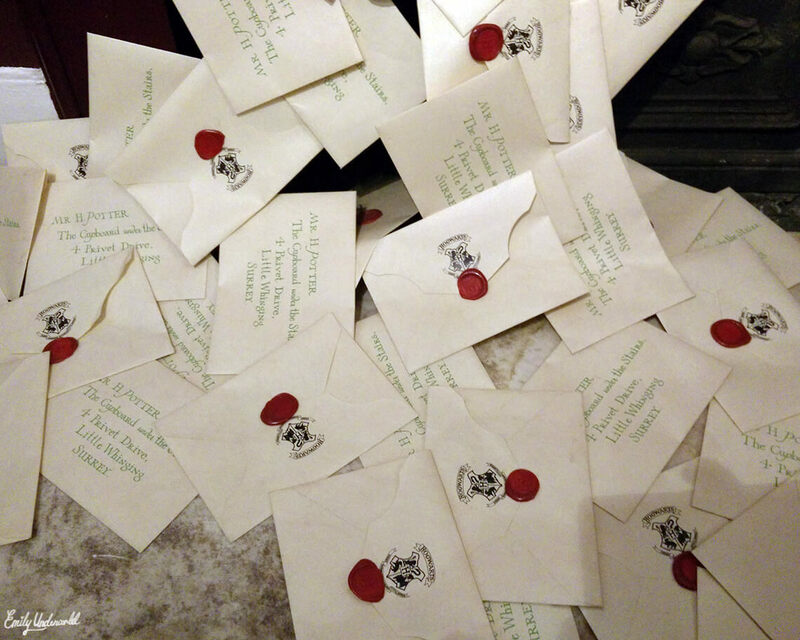 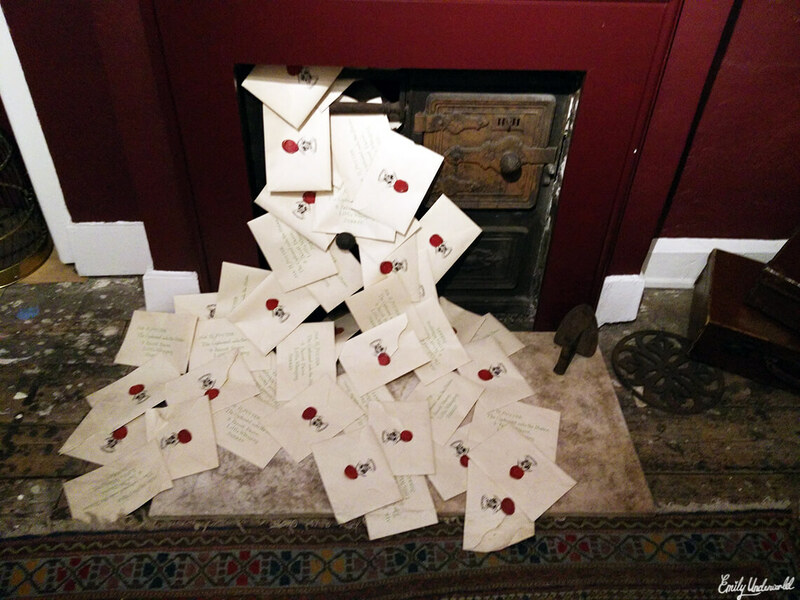 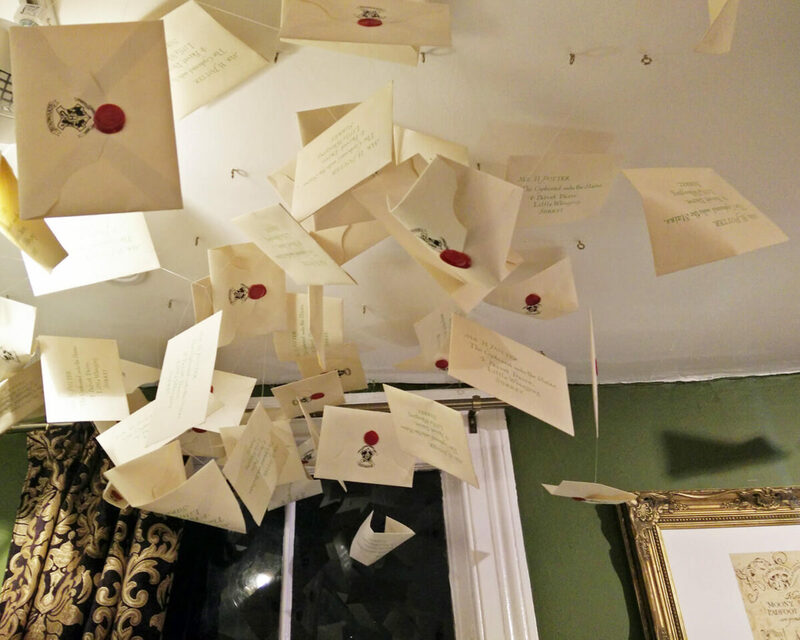 I especially liked how they displayed all of the Hogwarts letters in the fireplace and on the ceiling! 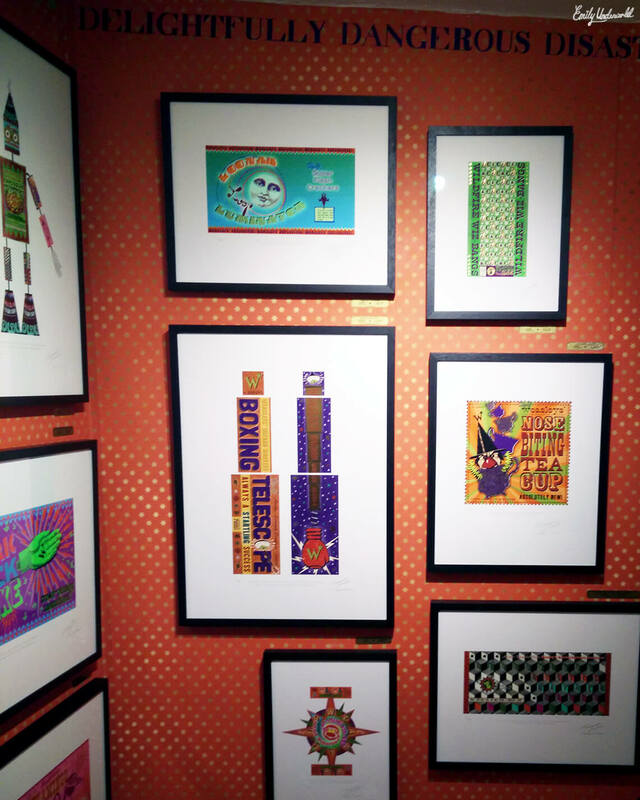 Have you been to the House of Minalima? 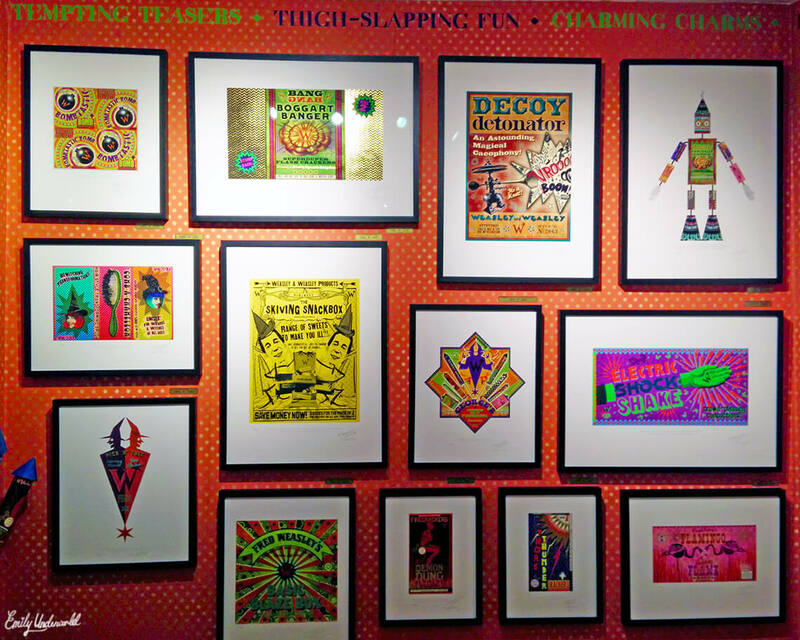 For more information, visit Minalima.com.